New Delhi: The national health policy which proposes to provide “assured health services to all” could not come up in the Union Cabinet meeting despite expectations. 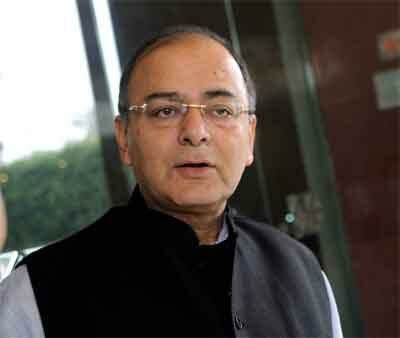 Finance Minister Arun Jaitley said it did not come up for discussion in the cabinet meeting held this evening. Earlier Union Health Ministry officials had said they will try to push for the clearance of the policy from the cabinet today itself. The Health Ministry has prepared a note on the draft National Health Policy. The proposed National Health Policy, which has been pending for the past two years, aims to provide assured health services to people as an “entitlement”. The Cabinet note however had not talked about making health a “fundamental right” as it will have “legal consequences” but talked about assured health services. A senior health ministry had earlier said the Ministry had not used the term – fundamental right- and instead used assured health services. The ministry is also learnt have held several rounds of deliberations with various stakeholders, including government departments and states. Under the earlier draft National Health Policy, 2015, it was proposed the Centre will enact a National Health Rights Act, which will ensure health as a fundamental right and whose denial will be “justiciable”. The draft also addressed issues of making available universal health coverage, reducing maternal and infant mortality, as well as making free drugs and diagnostics available at least in public healthcare facilities in the country. It suggests the Centre must amend laws to align them with the current healthcare scenario.